Relax and enjoy our traditional family bach. Located in the middle of Leigh but tucked away in a secluded spot, away from the road and surrounded by bush on two sides. The bach has open-plan kitchen and lounge with sliding doors opening to the deck and views of the bush-clad valley and the sea. Within walking distance of Sawmill Cafe, local shops, Mathesons Bay and Leigh Harbour. A short car trip to the many local attractions including Goat Island Marine Reserve, Pakiri surf beach, Omaha, Tawharanui Regional Park, the Matakana Markets, winetasting at the many local vineyards, and many others. This loved family bach is ideal for families or couples and unfortunately can not be let for the intention of parties as we do respect our neighbours and would not tolerate excessive noise or behaviour. Listed price is for 6 people only (not including children under 12 months). Extras: Cleaning (Required, NZ$30.00 per stay); Optional Linen @ $10 per person, minimum $40. NOTE: Under Kiwi bach tradition you are expected to: Bring your own linen (towels/sheets/pillow case/tea towels); Bring own food and toilet paper. Cleaning products are provided. toilet, shower, Enter bathroom/laundry through carport, only 4 footsteps. Available for local calls only. However external calls can be received. Fire place provides main heating. Electric heater also available. Linen available for extra charge, on request. Wood burner stove. Plenty of wood available. Carport holds one car. Further parking for several more cars on driveway. Open plan living area including dining area. Cork floor. Couch and chairs. Modern fridge freezer. Family size. A small amount of cooking items e.g. oil, soya sauce, salt/pepper etc. A few tea bags and sugar. Please bring all your own food. Sufficient plates, bowls, cups, glasses and utensils for 6 people. Cooking pots, serving bowls and dishes. Coffee plunger, tea pot. Everything you'll need. Smallish open plan kitchen with bench dividing off from living area. Extendable 6 seater table and chairs within living area. Can be moved around, but please return to position you found it. Plenty of good books to read, but please leave them behind. Variety of games for children and adults. Puzzles. Small number of toys in a drawer. Local tennis club has courts available for a small cost. Level entry from carport. No stairs except outside and from deck. Loved the place. Would stay again! We enjoyed the charm and character of this accommodation. Clean and tidy with a view to enjoy. Was a nice area, we enjoyed the small town and had a great meal at Sawmill. WC was outside house, otherwise everything great. Doris was very responsive. Loved staying here, great view, close to everything! Will return, for sure! -	Goat Island Marine Reserve (5 mins drive) – fantastic fish life for snorkeling, explore rock pools, Glass Bottom Boat, Marine Discovery Centre, walk along beach towards Pakiri or along cliff tops towards Cape Rodney. 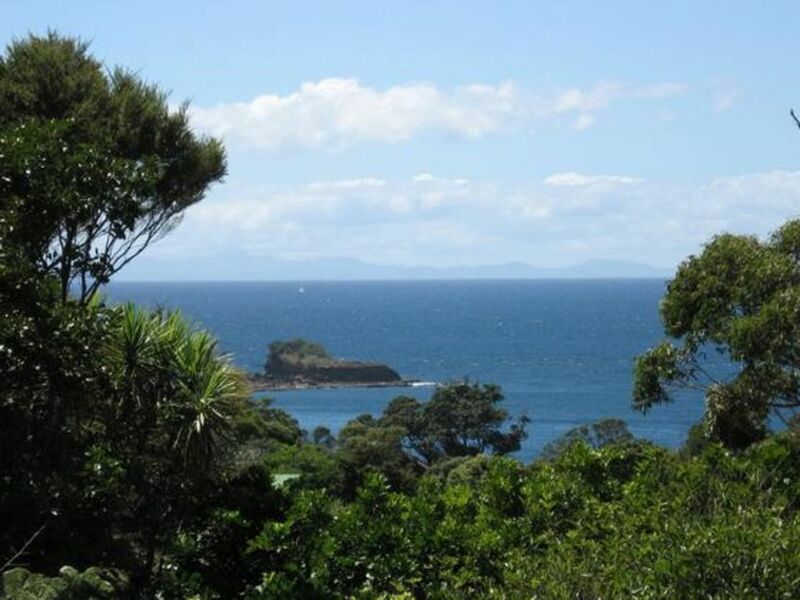 -	Tawharanui Regional Park (20 mins drive) - surf, walks, natural beauty! Predator-free fence with amazing bird life. -	Numerous cafes and wineries between Leigh and Warkworth.